BRIDGETOWN - Some of the services of financial technology (fintech) firms in Barbados could soon be regulated. 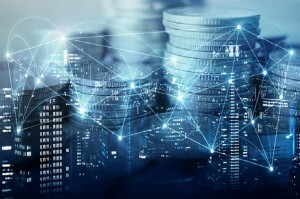 The Central Bank of Barbados in a joint statement with the Financial Services Commission (FSC) said both institutions have recognized that fintech innovation could play a critical role in safely lowering the costs of financial transactions, while offering more efficient services to consumers without undermining the financial system. The island’s two top regulators of the financial services sector said they have established a framework for a regulatory sandbox, which will provide clarity for businesses offering innovative financial technology products, services and solutions. A regulatory sandbox is generally referred to as a mechanism that allows for the trial of newly developed technologies in a well-defined and controlled space for a specified duration. “In a sandbox, the innovative product, service, business model or delivery mechanism is observed and tested within a restricted space that protects both consumers and the financial system from undue risk,” the regulators said in their statement. To this end, they said, a regulatory review panel comprising nominees from the FSC, the Central Bank and the Director of Finance and Economic Affairs, will oversee the operations of the regulatory sandbox. The review panel will, among other things, determine the regulatory issues for consideration during the sandbox, set the timeframe of the sandbox and recommend to the respective applicant what should happen afterwards. To be eligible to participate in the sandbox, applicants must show the review panel that their products or services do not easily fall under any existing legislation, or they must be proposing to use an unproven technology to carry out a regulated activity. Economist and Chairman of the FSC, Avinash Persaud, told Barbados TODAY this meant that after careful review, the product and services of fintech firms could be placed under existing or new legislation. “One outcome is that having tested it, we don’t like what we see and there are too many risks for consumers, we regulate those activities. We regulate them in such a way that either the likelihood of loss is less or we regulate who can access it,” he added. Pointing out that in the past a regulator was more likely to simply say no to a new product, Persaud said while that was in an effort to protect consumers from duds and scams it also “held back new products that lowered costs of doing banking, investing and transactions and reduced the variety of new products available to them”. “A regulatory sandbox allows regulators to say not just yes or no, but also, ‘maybe, let’s try it out’. It is a way of trying out a new product in a restricted environment where consumers are not at risk of losing money, where the financial system, the credit and payment system is not at risk of being disrupted and becoming unstable. And it is very limited in time,” he explained. Without giving details, Persaud said one candidate was ready to begin testing in a matter of days, adding that the first sandbox could last between eight to 12 weeks to give regulators an idea how it could work. At the end of the exercise, the review panel will produce a report that assesses how the activity in the sandbox performed as well as gauge any new or emerging regulatory issues. If the panel concludes that the service or product does fall within the scope of existing legislation, applicants can apply for the relevant licence. If there is no prevailing legislation to cover the activity, the panel will recommend a path forward for the Central Bank or the FSC to follow. He said it could also attract new investors “that may want to try out a new product in Barbados and if it is successful they might want to try it out elsewhere,” he said, adding that within a year or so, the country could very well do a “joint sandbox with a regulator outside Barbados for firms doing cross-border transaction, for example.